Frederick Varley's For What? portrays a cart filled with bodies collected from the battlefield. 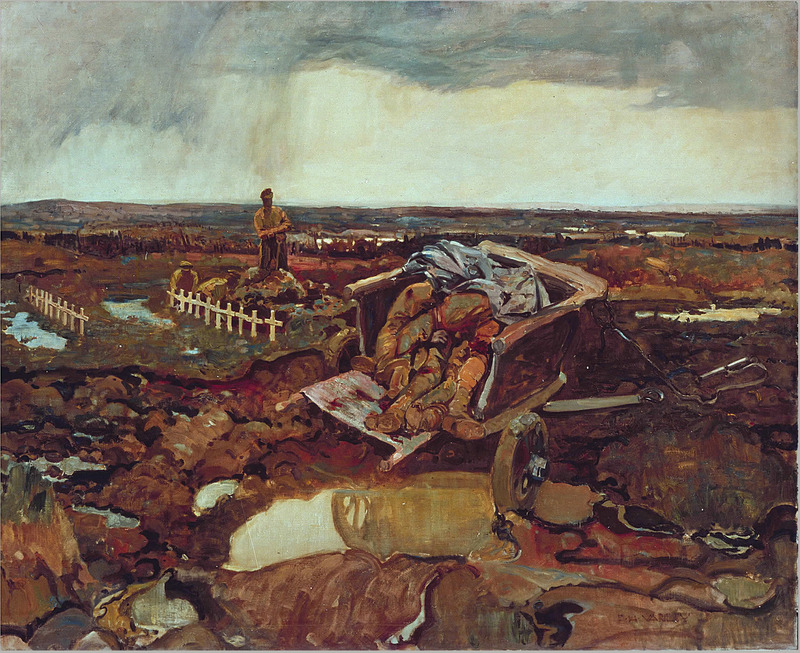 It starkly portrays the horror of war and questions its purpose.